However, many CrossFitters do wonder about the accuracy of self-reported WOD results posted on the Main Site and elsewhere. The most cynical seem to assume that virtually all self-reported scores are suspect. At the other end, many people simply accept that on average the results are accurate, and that while some scores may be nonsense, most seem reasonable, particularly those of athletes who are recognized as members of the community. The data from the 2010 CrossFit Games allows us to make a direct comparison for two WOD’s (1RM dead lift and “Fran”) for one group of athletes, the Masters competitors. Though it is possible to draw different conclusions, nothing in the data appears to be inconsistent with the theory that experienced CrossFitters do the best they can to accurately report their results. Or, to put it another way, CrossFitters seem to tell the truth, as best they know it. On a WOD like “Fran,” we would expect good judges to catch all of the things that the athletes themselves do not, and that for the Masters, the Games results would be somewhat worse than the self-reported results. John Matzner (CrossFit Potomac) a competitor at the 2009 CrossFit Games suggests that for a WOD like “Fran” the adrenaline rush during competition may actually work against some athletes, causing them to go out too fast and leave less than enough in the tank for the final rounds. 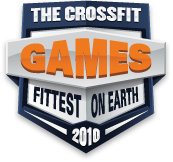 This phenomenon may have been in play during the first WOD of the 2010 Games when several competitors went from doing nine muscle-ups nearly unbroken in the first round to missing multiple single attempts in subsequent rounds. During the 2010 Games, the Masters competitors did “Fran” on Sunday, after having a full day off on Saturday. Thus the effect of fatigue should have been minimal. Before the Games, 22 of 26 athletes (11 of 15 men and 11 of 11 women) self-reported their “Fran” times. On average, the 22 athletes did just 35 seconds worse than their previously reported results. While there are many possible explanations for the 35 second average difference, I am convinced that exaggeration of prior performance accounts for little or none of it. If this group of athletes were prone to exaggeration, then surely they would also have also exaggerated their 1RM dead lift numbers. The data show the complete opposite. Before the Games, 22 of 26 (12 of 15 men and 10 of 11 women) reported their 1RM dead lifts. On average these 22 athletes pulled 9.77 pounds more than their previously reported results. In fact 19 of the 22 (including all 10 women) matched or exceeded their self-reported results. What accounts for the relatively high accuracy of self-reported WOD results in comparison with other data on (e.g. data on dating sites, which is notoriously inaccurate)? As many of us have observed, CrossFitters are an incredibly honest group. To CrossFit requires a willingness to tell the truth; to accept the fact that we are not good at everything and that we are (at least for now) terrible at some things. 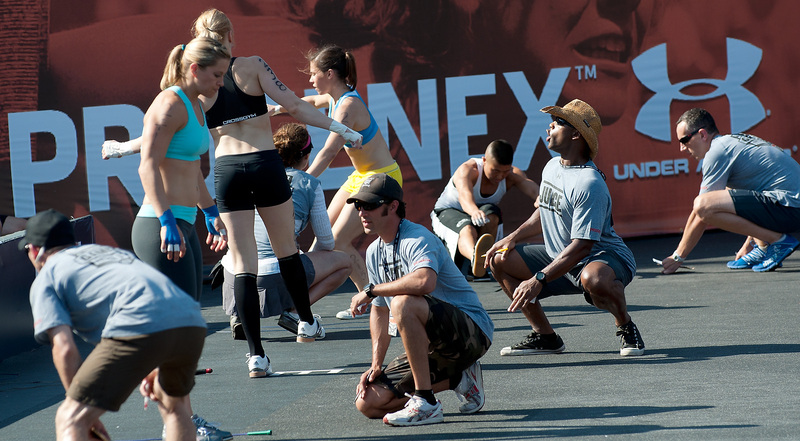 CrossFit is quantitative, not qualitative. No CrossFitter says, “I seem to be lifting more weight.” Instead they know—and want to know--with precision exactly how much more weight. In other areas, three-quarters of the population can tell themselves that they are above average, but not in CrossFit. There are always friends and family who will tell you that you are smart, beautiful, and special, even if you are not. People you CrossFit with will tell you the truth. You didn’t get below parallel. You didn’t get your chin over the bar. People who CrossFit don’t want to be lied to, and the data show, they don’t lie. Keep in mind that self-reported "Fran"-time and self-reported Deadlift weight are two different things. On "Fran" you can report a time with several half/missed reps you didn't notice. On the deadlift, you either get the weight up, or you don't. In the former, you'd be convinced you were telling the truth about your time and in the latter, you'd be knowing that you weren't telling the truth. 04 August 2010 / 8:12 a.m.
One thing I want to know about the athletes in the games: In their stats for FGB, they all almost seem to pass 350 points. Some even get over 400. Are they doing a 3 round or a 5 round FGB??? 04 August 2010 / 9:14 a.m.
Another thing to realize is that the self-reported WOD times are PR's, not averages. With our constantly varied approach to training, you are not going to always be at your peak ability to perform Fran. The day I got my fastest Fran time, I was totally recovered and had been training high rep squats, pull ups, and shorter sprint-like WODs to a relatively high degree. I was in the right place at the right time to crush the WOD, and I wouldn't expect to get that same time today, even though I think I am just as fit as I was then. FGB is another great example. If my training has involved a greater degree of longer, higher rep, light weight workouts, I would expect to have e good day on FGB. If I have been spending more time lifting heavy and running sprints, I don't expect to be at my FGB prime. You cannot be at your peak for all different types of workouts, all at the same time, all the time. That is why I believe you might not always be PR efforts on benchmark WODs in competition. You certainly do not want to go into a CrossFit competition with your training focus having been to PR on Fran, unless you know you will be competing at Fran. 04 August 2010 / 9:45 a.m.
Well Stated Justin. Although we hope to crush our current PR's with every subsequent attempt, the reality is sometimes we do and sometimes we don't. Just keep CrossFitting and your world will be fine. 04 August 2010 / 11:32 a.m. I participated in the Master's competition and enjoyed the hell out of it. It's funny that this comment came up about Fran results versus self-reported PR's. I finished 3rd in Fran at 4:40 and Mike Lyons won it in 4:14 I believe. While we were still on the stadium floor we were talking about the reason behind the relatively slow times versus PR's (his being 2:55 and mine 3:35). It was certainly not fatigue. We had plenty of recovery time. Mike and I discussed the fact that we were both very focused on range of motion since there is so much subjectivity regarding squating. Would love the minds at HQ to come up with a better tool for squat depth evaluation! Unlike the new push-up standard (which everyone I have spoken to loves) and the entire foot on the box box-jump, accurate squat depth measurement remains elusive (and who wants to do an extra thruster after doing 45 in Fran). So in the interest of insuring FRM we probably exaggerated some reps (haven't seen the tape so I don't know for sure). But I would also echo Justin's comments above. He is right on. I hadn't done Fran for 3 months and wasn't expecting to see it. That's why they call it Crossfit! Thanks to all that made the games so special. 04 August 2010 / 1:41 p.m.
Coach Glassman talks about "measurement". Future games and higher-end boxes might utilize electronic instrumentation (video playback, LEDs/photodiode circuits, etc) to MEASURE key attributes of various workouts (e.g. Fran: Does hip drop below knee?, Does bar reach full-extension?, Does chin/shoulder pass above bar?). 04 August 2010 / 3:14 p.m.
Jay Thomas makes an excellent point, one that I wish I had mentioned in the essay. I am certain that under the eyes of the judges, many people do more than required. Even beyond the dilemma of how low to squat, when faced with the possibility of being called for a missed rep, the tendency is to over compensate. During the regionals, someone asked me after the DU-Helen WOD why I was doing CTB pull-ups when they weren't required. The truth is I had no idea. 05 August 2010 / 9:56 a.m.
Hi this metter is extremely interesting. Keep pushing friend ! 04 May 2011 / 1:16 p.m.
11 May 2011 / 10:48 a.m.
</b> ????????? ??? ?, ??? ????? ????????? ??????. </b> ???? ??? ? ?? ?????? ???. ???? ???? ?? ??????????? ????? 06 October 2011 / 10:42 a.m.
07 October 2011 / 12:10 a.m. ???? ????????????? ?? ???? ?? ???????? ????? ??????????? ??????? ????? ??? ???? ????? ?? ??????????? ?? ? ???? ????????? ????? 24 November 2011 / 6:24 a.m.
24 November 2011 / 11:36 p.m. ?????? all. ????? ?? ?? ??? ?? ?????.... ????? ??? ??????? ???????? 15 December 2011 / 4:09 p.m. ?????????????? ????? ?? ???????????? ????? - ????? ???? ?????? ?? ???, ? ??????? ????? ??? ?????, ? ???? ??? ?? ?????????? ?????????? - ? ??? ???????? ?????????? ??? ?? ?????? ?????! ???????? ?? ????? ? ???????? ???????. 17 December 2011 / 3:02 a.m.
We offer a service OpenVPN, DoubleVPN and PPTP VPN - ACCESS to 13 SERVERS in 10 COUNTRIES, only 9 Euro per month. 17 December 2011 / 12:16 p.m.
09 January 2012 / 8:46 p.m.
? ???? ???????? ????? ?????????? ??????, ? ??????? ?? ??????????? ??????? ????? ?????????? ?????????. ???????? ???? ?, ??? <a href=http://pornomultick.ru/>????? ??????? ??????</a>, ? ??? ?? ??????. ???????? ? ???? ??? ???????. 13 February 2012 / 4:38 p.m.